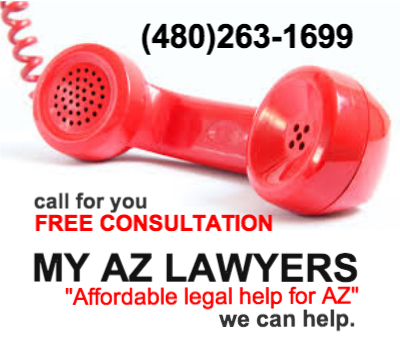 Our Mesa bankruptcy lawyers can help you prepare to file bankruptcy in Mesa, Arizona. Declaring bankruptcy involves many detailed and complex steps in order to ensure that you have the best outcome to your debt relief efforts in Mesa, Chandler, and Tempe, AZ. In order to make sure that you do not do anything that will affect the outcome of your bankruptcy, you should make sure that you are adequately informed prior to filing for bankruptcy protection in Mesa, Arizona. Filing is difficult, don’t let bankruptcy mistakes haunt you while filing for bankruptcy in Mesa, Arizona. Having a FREE Consultation with a trusted Mesa or Phoenix bankruptcy attorney is a sure fire way to protect you from bankruptcy mistakes that could cost you considerably when filing for bankruptcy in Mesa, Las Sendas, or East Mesa, Arizona. Our Arizona bankruptcy law firm provides legal counsel in bankruptcy and other forms of debt relief throughout Mesa, AZ. With evening and weekend appointments available as well as same day FREE consultations daily, there is no reason that you shouldn’t seek the assistance of our Mesa debt relief experts. Call (480) 263-1699 and set up an appointment today. Our Mesa debt relief experts will guide you through the entire bankruptcy process. We will give you accurate information and help you determine if filing for bankruptcy protection is the best financial move for you and your individual, family, or business financial situation. There is a better chance of avoiding bankruptcy mistakes if you confer with the experienced bankruptcy lawyers from My AZ Lawyers. Below is a list of just a few of the costly bankruptcy mistakes to avoid. Don’t hide assets or debts – The bankruptcy trustee will find them and it will cost you more. Do not pay money back to family or friends, it is one of the most common bankruptcy mistakes. Don’t misrepresent yourself or give false facts on your bankruptcy petition. Do not misrepresent facts to your attorney – Our Glendale bankruptcy attorneys are working to help you. Withholding information from us can only hurt you and your case in the long run. Don’t lie to your bankruptcy trustee. This is one of the most detrimental of bankruptcy mistakes. Do not tell a creditor that you intend to pay – This could lead to that creditor bringing this up at the Trustee hearing and expecting to be paid in full. Don’t put your money in your kids’ or other relatives’ bank accounts – Attempting to hide assets is a serious offense and can not only have your bankruptcy denied but could lead to fines and imprisonment. Do not attempt to “hide” or “save” a credit card for after you have filed bankruptcy. We pull your credit report and will find it. Don’t run up your credit cards in advance of filing bankruptcy. The credit card companies will challenge these charges. Do not transfer property to anyone – Again, this is attempting to hide assets and is a serious offense. The few mistakes listed above are just a taste of the numerous errors that people often make when considering bankruptcy. Our experienced bankruptcy attorneys from the My AZ Lawyers have seen most every mistake that can be made by individuals, couples, and businesses in Mesa, Chandler, and Phoenix who are declaring bankruptcy. The financial impact these errors can make is not something you want to find out about the hard way. Our low cost Mesa bankruptcy lawyers and staff encourage you to meet with us as soon as you consider the subject of bankruptcy so that you can make an informed decision. There is such a thing as preparing to file bankruptcy. The best way to make sure that you don’t do something detrimental to your potential bankruptcy filing (either chapter 13 or chapter 7) is to seek the help of an experienced Glendale bankruptcy lawyer. Call us today! Avoid making bankruptcy mistakes now that will cost you dearly in the future. Our affordable bankruptcy attorneys have helped hundreds of residents in Mesa, Chandler, Tempe, and Phoenix, and throughout Maricopa County, Arizona. We look forward to assisting you with your debt relief efforts. Our Mesa bankruptcy Lawyers are located in Mesa, Arizona, Phoenix, Arizona, and serve bankruptcy clients in Mesa, Scottsdale, Phoenix, Glendale, Gilbert, Queen Creek, Tempe, Chandler, Pleasant Valley, Avondale, Cashion, Casa Grande, Surprise, Prescott, Marana, Tucson, East Mesa, West Mesa, Fiesta Mall Area, Dobson Ranch, Las Sendas, San Tan Valley, Superstition Springs, Signal Butte, Alma School Road, El Mirage, Peoria, Sun City, Sun City West, Tolleson, Youngtown, Flagstaff as well as Pima, Pinal, and Maricopa County.